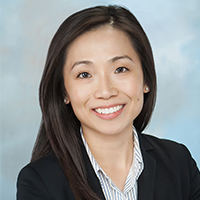 Linda M. Lee is an Associate at Wong Fleming with a practice concentration in Commercial Litigation and Trial, Insurance Defense and Coverage. Prior to joining Wong Fleming, Ms. Lee concentrated her practice in the areas of general litigation, transportation law and defense, and insurance coverage. Ms. Lee also served as a Judicial Law Clerk to the Honorable Marianne Espinosa, J.A.D., researching and analyzing discrete legal issues pertaining to civil, criminal, family, bankruptcy, and administrative law matters. Ms. Lee received her Bachelor’s degree in Contemporary Arts with a minor in International Business from Ramapo College and her JD from Rutgers School of Law where she was Editor-in-Chief of the Rutgers Law Review.